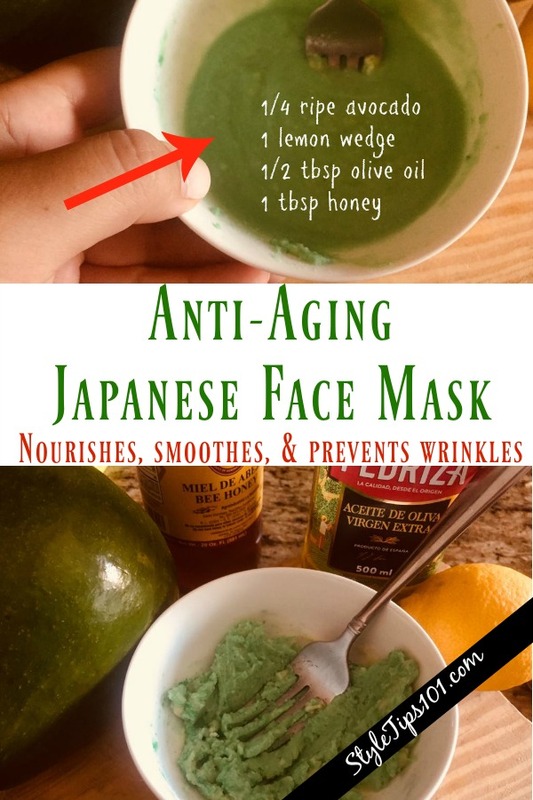 Japanese women know a thing or two when it comes to skincare and this DIY Japanese face mask is one of their secret weapons! 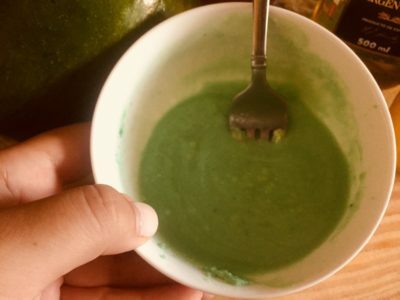 This anti-aging facial mask will gently slough away dead skin cells, remove dirt, oil, and debris, and encourage new cell growth, reversing the signs of aging. 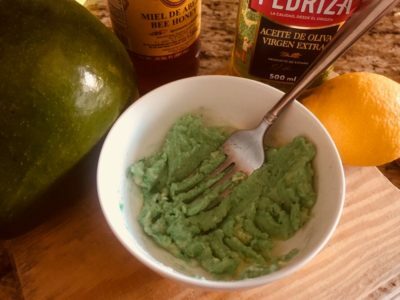 This DIY Japanese face mask is SUPER easy to make and only requires 4 simple ingredients that you’ll be able to whip up in seconds! With a fork, mash 1/4 of an avocado. Squeeze in the juice of a lemon wedge, and add in the olive oil and honey. Stir well until all ingredients are well incorporated. Apply the mask all over (cleansed) face and neck. Avocado contains fatty acids which penetrate the skin to hydrate and moisturize. Lemon Juice gently exfoliates and brightens skin. Lemons also help with skin discoloration, dark spots, and scars. Olive Oil gently cleanses and nourishes the skin, making it the perfect ingredient to combat wrinkles and fine lines. Honey is anti-inflammatory as well as anti-septic and anti-bacterial which means it will kill germs, bacteria, and also reduce swelling in the skin. Use the mask 2-3 times a week to prevent wrinkles as well as to slow down the signs of aging.